> Urine drug tests>Test of synthetic cannabinoids type K4, or "UR-144"
Urine test for the detection of synthetic cannabinoids type K4, also called UR-144. K4 is the third type of synthetic cannabis to have appeared on the market. 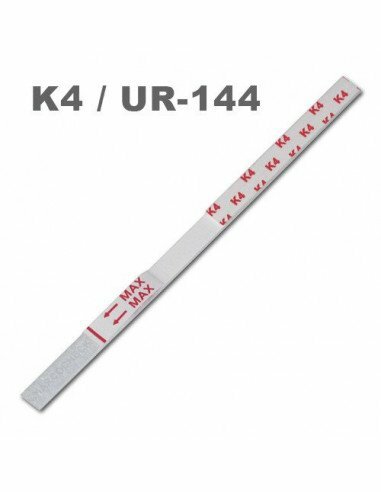 The NarcoCheck® K4 rapid test strip is an immunoassay for fast the detection in human urine of synthetic cannabis of type "K4". This synthetic cannabis is now also known as UR-144. Synthetic cannabis has nothing to do with natural cannabis. It is actually an active chemical and artificial substance. It is called "cannabis" because it mimics natural cannabis by acting on the same receptors of the organism, namely the CB1 and CB2 receptors. Its chemical composition is completely different from natural cannabis, and as such, synthetic cannabis must be screened with a test specific to it, just like any other drug. 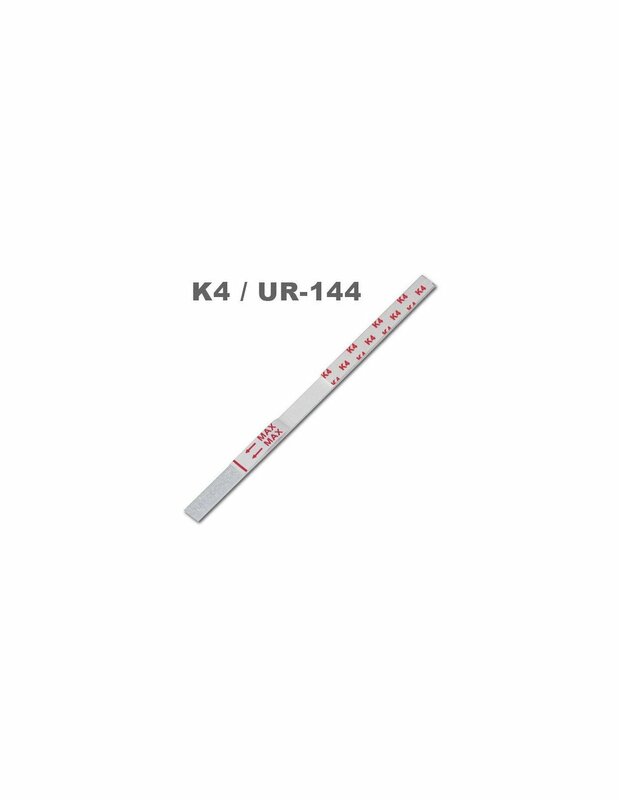 This test will detect the main molecule of K4, the UR-144. What is the difference between the K4, K3 test and the K2 test? The K4, or UR-144, is a third type of synthetic cannabinoids, which has been on the market since 2014-2015. It is this form of synthetic cannabis that this test detects. The K3, or AB-PINACA, is the second type of synthetic cannabinoids, which has been on the market more and more since 2014-2015. The K2, or Spice. It was the first type of synthetic cannabis to appear in the mid-2000s. It is still widely found in various seizures made around the world.